Looking for for a quick, easy, simple sale? Learn about our cash for house program. If you are considering selling your home…WE WANT TO TALK TO YOU. Below you will learn about the our four step cash for house program in Hendersonville. Before we can even get started we need you to reach out to us. Either call us right now at 828-581-9316 or submit your information to the right —>>> Once you reach out to us we will respond within 24 hours to discuss your house and why you are wanting to sell. Once we have had the opportunity to talk either by phone or email we will set up a time to meet you at the property. A property visit can go as quickly or as slowly as you would like. We can typically do our initial walkthrough in about 15 minutes. Of course, we won’t leave until we answer all of your questions or concerns that you might have. After looking at the property, we can at that point make you a cash offer. Once we agree to the price and the closing date we can go ahead and sign the contract! Because we do purchase all of our properties in ‘AS-IS’ condition the seller (you) don’t have to worry if the house needs a little TLC, cleaning out, etc. During the due diligence period what we are doing is make sure that everything we looked at during our initial walk through is as it appears. 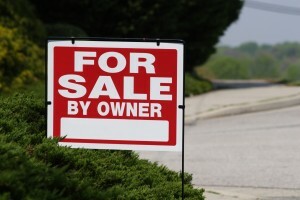 We also start doing a title search on the property to make sure that property has a clear and marketable title. Esentially our attorney wants to make sure that you have the right to sell us the house! Our last step! At closing is when our house for cash program comes full circle. After we all finish signing all the paperwork that the attorney has prepared you then collect your money! We can do this whole process in as little as 15 days if needed. Additionally we can also spread this process out over a few weeks or months if needed. The important thing to remeber is that we are here to help you!